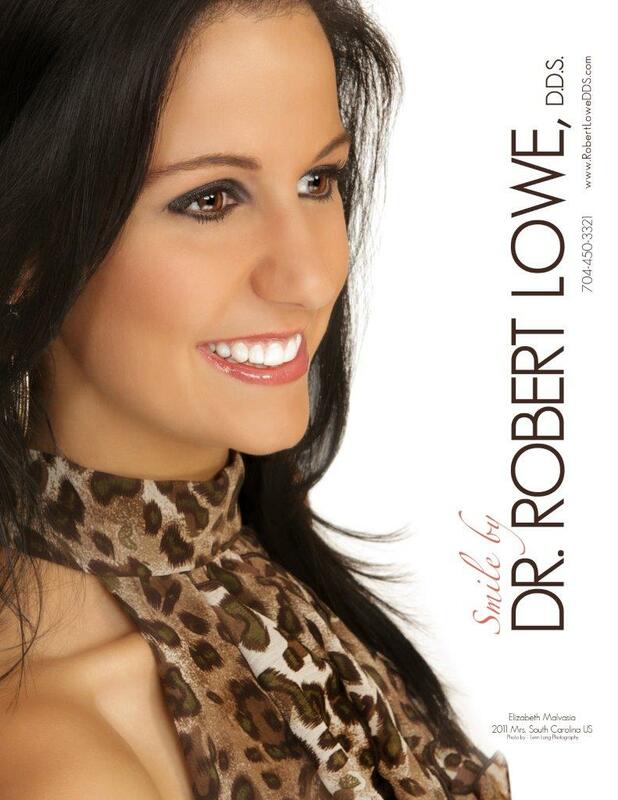 Teeth whitening is one of the most popular cosmetic dentistry services in Charlotte. It provides you with the means to erase years of discoloration and staining from your teeth, and achieve the healthy, bright smile that you have always wanted. However, there are quite a few questions you might have for your dentist in Charlotte. By providing these tooth whitening answers, we hope to illustrate just how beneficial working with our cosmetic dentist can be to your self-esteem and quality of life. There are quite a few systems that offer whitening of your teeth, and they are all different. You’ll find over the counter systems, including strips and pastes. There are also several different professional systems, including so-called laser whitening (which actually use UV light, not lasers). We use the Zoom! system, which relies on a high-performance gel that can remove intrinsic stains (under the enamel) from your teeth quickly and safely. This is combined with the ability of our dental hygienist to remove extrinsic staining via thorough cleaning and tooth polishing. We feel that the Zoom! system is the better option on the market and can create the whitest smile, in the shortest amount of time, with the fewest potential side effects. Does the Teeth Whitening Process Damage My Enamel? Most teeth whitening systems do not cause damage to the enamel of your tooth. 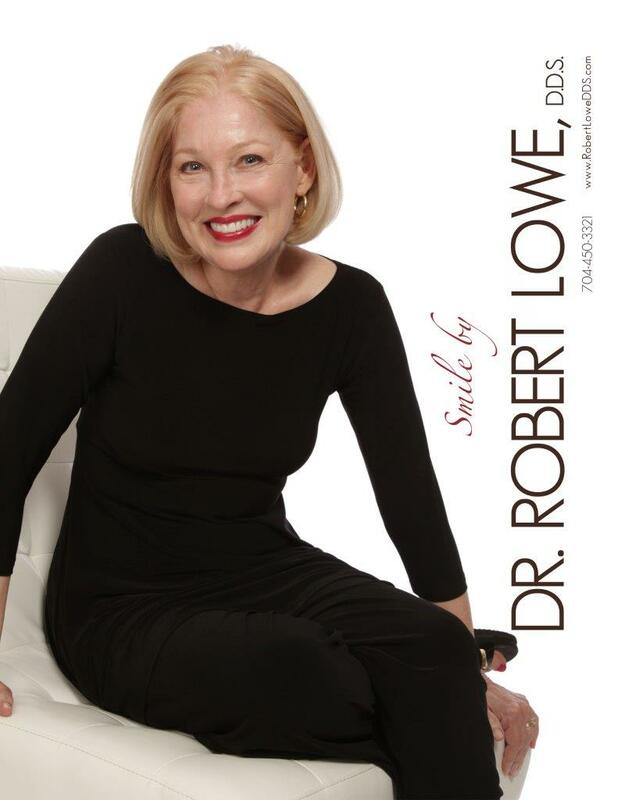 At Robert Lowe, DDS, we use the Zoom! whitening system. Unlike other systems, there is little potential for damage to your enamel here (there is no UV light used to cure the whitening gel). Our system uses a series of custom-designed trays filled with bleaching gel. The gel sits on the surface of your tooth and penetrates the exterior to remove stains under the enamel. Will I Experience Tooth Sensitivity from Teeth Whitening? There is a good chance that you will experience at least some mild tooth sensitivity. This is not uncommon and will pass in a very short period. The most common types of complaints involve a tingling sensation. However, you may experience other sensations during and immediately following the tooth whitening treatment. Generally, it only requires 24 to 48 hours for all sensitivity to dissipate, and for you to be able to eat and drink normally once more. You will not experience permanent tooth sensitivity. Can the Bleaching Agent Damage My Gums? There is the potential for the bleaching agent to damage your gums and other soft tissues. This can cause greater discomfort than the mild tooth sensitivity most patients experience. For this reason, the gel should be kept out of contact with your gums and other soft tissues within your mouth (cheeks, inner lips, etc.). This is one of the most important reasons for you to work with a cosmetic dentist who can create custom trays that fit your mouth correctly. This will ensure that the gel does not come into contact with anything other than your teeth, eliminating the possibility of damage to your gums. If you have questions concerning the whitening process, or whether you are a good candidate, feel free to speak with our teeth whitening specialist about your specific situation, needs, and goals. Your results will vary significantly when it comes to how long the whitening process lasts. The most important factors are lifestyle considerations – you, personally, have the most significant impact on how long your teeth remain healthy and bright. Most patients report their whitening lasting for at least two years, but some have enjoyed beautiful white smiles for five years or longer. The key to ensuring that your teeth remain white and bright for as long as possible is to reduce your consumption of foods and beverages that stain your teeth, as well as eliminating lifestyle habits that darken teeth. One of the most important things to watch for is the consumption of coffee, tea, and red wine. All three of these beverages are well known for their staining effects, and will dramatically reduce the length of time that your teeth stay white. If you smoke or use smokeless tobacco, this will also dramatically reduce the whiteness of your teeth in a very short period of time, not to mention the other negative health impacts tobacco use creates. Will Tooth Whitening Change the Color of My Veneers or Fillings? What about Crowns? Unfortunately, teeth whitening is not a good option for those with a significant number of fillings, or for those with crowns or veneers. The gel used for whitening cannot penetrate porcelain or any other material than your natural teeth. This means that while all areas that remain natural in your mouth would be whitened, those that were not would remain their previous color. In most instances, veneers and crowns are color matched to ensure that they match the color of your existing teeth to create a natural look. By bleaching your teeth, you whiten them beyond this point, creating a significant contrast between your bleached natural teeth and the unbleached crowns or veneers. If you have crowns, veneers or fillings and are interested in achieving a whiter, brighter smile, we invite you to speak with our cosmetic dentist about your options. There are many paths that can be pursued, other than bleaching. How Does Professional Whitening Compare to Over the Counter Products? In most instances, over the counter products are only capable of whitening your teeth by a shade or two. This may be all you need if your teeth are not particularly discolored. However, most people will find that over the counter products simply do not do enough to whiten their teeth or make a noticeable difference. This applies to over the counter whitening strips and the like, but also to whitening toothpaste. High-quality professional whitening, such as the Zoom! system we use in our office is able to achieve dramatic results in a very short time, though. Will My Teeth Whitening Be Covered by My Insurance? In almost all instances, insurance companies will not cover teeth whitening. It is considered a cosmetic treatment, and an elective option, rather than a medical/dental necessity, such as having fillings or regular tooth cleanings. However, the bleaching process is generally not particularly expensive, making it simpler for our patients to pay for it out of their own pockets. There is also the fact that the benefits of having your teeth whitened are significant, and extend well beyond merely having whiter teeth, and touch on emotional and mental benefits that can have profound effects on your quality and enjoyment of life. Will Bleaching Damage My Restorations? Some patients have expressed concern that teeth whitening might damage their restorations (crowns, veneers, and tooth-colored fillings). This will not happen. There is no evidence that teeth whitening treatments will damage any form of restoration you might have. However, bear in mind that whitening will not change the color of your restorations, either, so they might need to be replaced in order to match the new color of your teeth. What Options Do I Have Other Than Tooth Whitening? There are many different options when it comes to achieving a whiter, brighter smile. Obviously, the Zoom! system is one such choice, but there are others. Depending on your needs and your goals when it comes to how white you would like to make your teeth, veneers may be a good choice. They are particularly popular with those who have damaged teeth, or severely stained teeth (so stained that bleaching cannot remove them). For others, crowns may be the right answer. For yet others, it may be necessary to consider a solution such as dental implants or dentures, depending on the condition of the teeth, the overall health of your mouth and other factors. We invite you to speak with our dentist in Charlotte to help determine which option is the best fit your specific needs, goals, and budget. With the Zoom! system, the process of whitening your teeth is actually very simple. It begins with an assessment of your mouth to make sure that you are a good candidate for whitening, and then the creation of a custom mold. That mold will then be used to create customized trays that will fit perfectly around your teeth and hold the whitening gel in place. You’ll sit for an initial whitening treatment in our Charlotte office. This generally lasts about an hour. Afterward, you may be sent home with additional trays and gel to use to whiten your teeth at home. Our cosmetic dentist will explain how long to leave the gel in place, as well as other precautions that you should take to ensure that you are able to achieve the ideal level of whitening while eliminating any potential risks. What Benefits Might I See from Teeth Whitening? When you use our Charlotte dentist office for teeth whitening, you will be able to realize a number of benefits. Obviously, you will have a brighter, whiter smile. However, this is only part of the process. Because you have eliminated years of staining and darkening, you will have more confidence. You’ll smile more openly and experience a higher quality of life as a result. Humans are social creatures, and not feeling confident in your smile can rob social situations of enjoyment. If your teeth are stained and yellow, you might have spent a lot of time avoiding situations where you might have smiled in front of strangers, or even spoken to new people. Teeth whitening can remove that obstacle, ensuring a happier, healthier life. Ready to make a change in your smile? Want to achieve whiter, brighter teeth and enjoy a boost to your self-confidence? It can be as simple as having your teeth whitened. Our cosmetic dentist in Charlotte can provide you with advice and guidance to determine if this is the best path for you, and can help you understand other options that are available if teeth whitening is not for you. Call our office today at 704-450-3321 or use the contact form if you prefer.